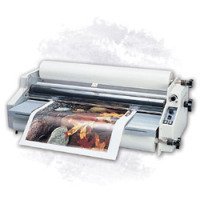 The Ledco 25” Premier 4 roll laminator is a medium-duty laminating machine perfect for print shops, sign shops, school supply stores, and just about any other business application. 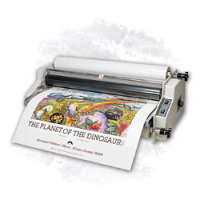 With its easy adjustability, simple controls, and glitch-proof threading, you’ll be able to spend less time adjusting your machine and more time laminating. The forced air cooling allows users to laminate with up to 10 mil film thickness, and the upper heat shoes swing away for easy cleaning at the end of the day. 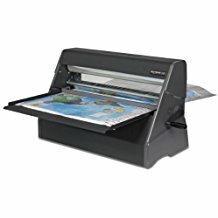 If you want a moderate-duty roll laminator with easy adjustments and built-in convenience features, the Ledco 25” Premier 4 roll laminator is just what you’re looking for. 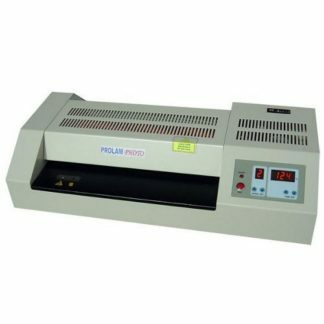 This roll laminator comes with a two-year manufacturer warranty.